We were runnin' the budget ragged this month with Cirque Du Soleil and other big spending events so, it was time to think of cheaper-than-normal﻿ meals. I figure...when in 'Rome'...right? 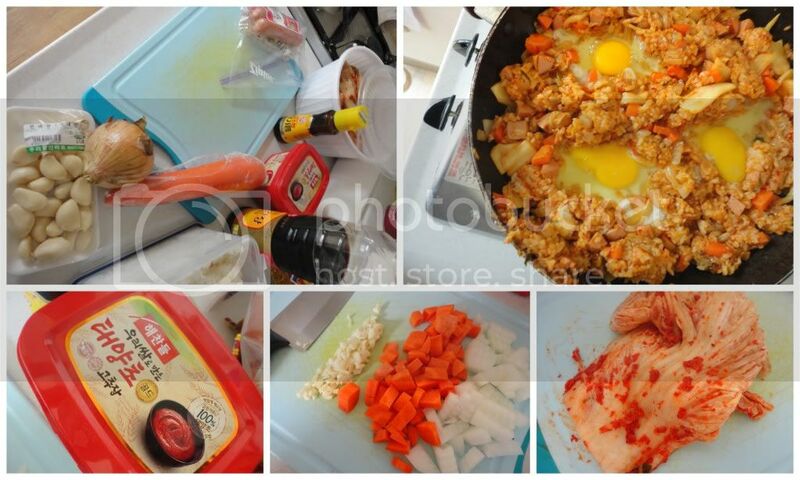 Hence, Kimchi Bokkeumbap (Fried Rice). Cheap to eat out, equally cheap to eat at home, especially when you've received a BUCKET of home-made kimchi!